Eric Krieg from GodSaidSo.com offers Bible study lessons to help you discover God's word. This show is not focused on the doctrines, opinions, or traditions of men; but, is only focused on what God's word teaches – and how we should apply God's message to our lives! In addition, this show is from a non-denominational perspective, encouraging each person to simply follow the Bible and be Christians like you can read about in the New Testament (and be part of Christ's church). Think of a podcast like an on-demand radio show. You can access these broadcasts through your computer (via GodSaidSo.com, Itunes, or Stitcher Radio) and your tablet/smartphone (via the podcast app for Itunes or the Stitcher radio app for Apple or Android). 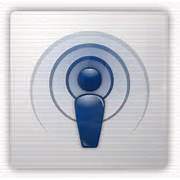 With the GodSaidSo.com Podcast, you can take the Bible study lessons with you on your mobile device and listen to them at your convenience – or you can study along at your computer. For recent podcasts, click here. If you are using a mobile device, search for the GodSaidSo.com Podcast in either the podcasting app for Itunes or on the Stitcher Radio app. Please leave feedback on both Itunes and Stitcher Radio for this podcast. Your feedback can help us reach more people! Thanks. Do you know of others who could benefit from this podcast? Help spread the word!